Stecoah Union School welcomed its first students in October 1926. The school was built of native rock with the skill and labor of many local residents. On Dedication Day, the proud community posed for the panoramic photograph shown above and now featured in the auditorium. After sixty-eight years of service to the community, the school was closed in consolidation in 1994. Stecoah Valley Arts, Crafts & Educational Center, Inc., a non-profit corporation, was formed by a group of concerned citizens dedicated to restoring the historic school to its original role as the center of the community. The school property consists of the main school building, adjacent gymnasium building and grounds. The original main building burned shortly after completion; the present school building was constructed within the same rock walls and reopened in 1930. It remains today a beautiful solid stone structure surrounded by approximately ten acres of natural mountain land. The name Stecoah is derived from the Cherokee language. The term “Usdi Gohi,” meaning “little place” was applied to many places by the Cherokee, but here the words became “Stecoah” and the name stuck. At any time during year, stop by to view our permanent Cherokee history exhibit that documents the history of the Cherokee in Stecoah Valley; and to see the Cherokee arts and crafts in the Stecoah Gallery. 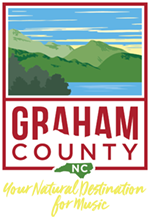 Our mission is to serve the people of Stecoah and Graham County through programs and services that benefit all members of the community, through the preservation and promotion of Southern Appalachian mountain culture and through the restoration of the historic old Stecoah School to its original role as the center of the community. Growing from an abandoned school building just a few short years ago to the vibrant center of the community today, Stecoah Valley Cultural Arts Center now offers over 20 programs to approximately 10,000 people annually. The Center brings music to the mountains through the summer performing arts series An Appalachian Evening, as well as the Annual Harvest Festival and other events. Additionally, the Stecoah Artisans Gallery provides sales promotion and support for local and regional artists. The Center also provides many other services to the community, including the award-winning 21st Century Scholars funded after-school program that serves over 50 students annually. The Appalachian Musicians kids program offers students the opportunity to play stringed instruments such as the banjo, fiddle, guitar and mandolin, thus helping preserve the Appalachian heritage of the area. The Center also provides visitor information services and is home to other non-profit organizations as well. Free wi-fi available. Restoration work continues on the main school building and grounds and plans are now being made for renovation of the gymnasium in the future. The gymnasium was built about 1950. The main portion of the gym and the locker room wing have not yet been renovated. While architectural plans for renovation are in the schematic design phase now, this part of the gym remains closed to public use due to its present condition.